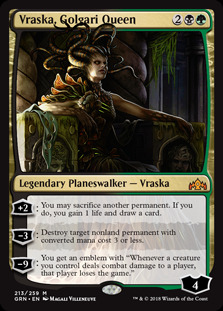 Vraska, Golgari Queen ($4.69) Price History from major stores - Guilds of Ravnica - MTGPrice.com Values for Ebay, Amazon and hobby stores! 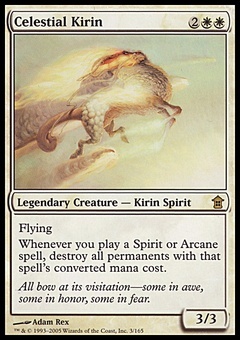 Card Text: +2: You may sacrifice another permanent. If you do, you gain 1 life and draw a card. -3: Destroy target nonland permanent with converted mana cost 3 or less. -9: You get an emblem with "Whenever a creature you control deals combat damage to a player, that player loses the game."